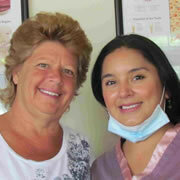 We are a group of dedicated dentists in Tijuana, offering top quality dental treatments at an affordable price. Patients from all over the US, and Canada have come to our clinics to get dental treatments, because of the quality of the work, as well as the affordable prices. We do both general dentistry, as well as specialized dental work in dental implants, veneers, and cosmetic dentistry. We have some of the top dentist professionals for dental implants, cosmetic dentistry, dental surgery, and root canals. All of our Mexico dentists are board certified with the National College of Dental Surgeons in Tijuana, (the equivalent of the American Dental Association). Some have also received additional training in the US. 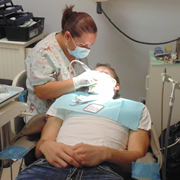 Dental Tourism in Mexico has become the most popular alternative for dental patients in the US. This is because Mexico dentists not only offer equivalent dental treatment at a very large discount, but also because the quality of the dentistry in Tijuana Mexico is at a very high level. Tijuana is very accessible to patients coming from anywhere in the US. It is certainly much easier to come to Tijuana for dental tourism, than it would be to go to somewhere over seas. All you have to do is get to San Diego, California. We will help you from there. Tijuana is right across the border from San Diego. Our dental clinics are just a 30 minute drive from the San Diego Airport. There is also great public transportation from the airport to the border. We can either have you picked up at the airport, or if you drive to the border or take the trolley, we will meet you there, and transport you to the dental clinics. 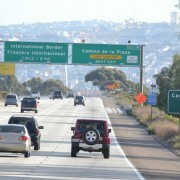 We are located at the US border crossing from San Diego, CA into Mexico. Since San Diego is a major US city, it is easier to get a discounted flight, compared to El Paso, Texas, or some other border city. Also, it is less expensive to fly domestically to San Diego, compared to an international flight to another country, like Costa Rica, or India. 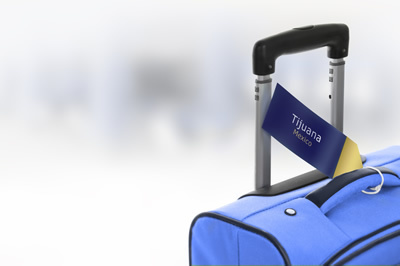 Our dental clinics are right at the border, and we offer local transportation to and from the hotels here in Tijuana. We can also arrange to have you picked up at the San Diego airport, and delivered here at the dental clinics in Tijuana. Prices at dentists in the US have gone through the roof. Fortunately, the costs for dentists in Mexico to operate are just a fraction of what it costs to do business in the US. For that reason, our Tijuana dentists can pass that savings on to the patients, and offer dentistry in Mexico at a huge discount. 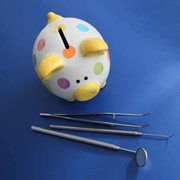 The prices for dental implants in Mexico, or any other dental procedure runs an average of just 30% of what you would be charged by a dentist in the US. This is one of the main reasons there are thousands of people who come to our dental clinic in Tijuana every year, to take advantage of dental tourism n Mexico. In the US dentists get their undergraduate studies, and then study for 4 additional years to become general dentists. In Mexico, the dentists study for 5 years to become general dentists, and then have to do a two years internship before they can open their own practice. If they become specialists, they have another two to three years of studies. Also, they must receive certification by the National College of Dental Surgeons. In other words, the level of preparation and studies required to become a dentist in Mexico is of a very high caliber. In our dental clinics, we only use board certified dentists and dental specialists. In our dental clinics, we have the same high standards and protocols for sterilization, and dental treatments, as you would find in any US dental clinic. Our Tijuana dentists have many years of experience, and as 95% of all our patients come from the US, our dentists can all speak English, and are used to meeting the needs of American patients. At Samaritan International, we promise to take very good care of you. We offer free transportation from the US Border crossing to our clinics, and to and from your hotel. We will make your hotel reservations, at one of the nearby hotels, getting a discounted price, over the normal hotel charges. Our patient coordinator was raised in the US and speaks flawless English. He can answer any question you may have, and he is very attentive to your needs. At Samaritan International Dental group we guarantee our dental services. First, our dental implant dentist in Tijuana Mexico gives a lifetime guarantee on his surgical dental implant placement. If your implant fails, he will not charge you again to replace it. This is not so at most US dentists, and they will charge you again. Also, we guarantee our workmanship, and dental materials against any defect. If a crown comes off or cracks, we will replace it for free, within a reasonable length of time. What we cannot guarantee, is problems that are the result of an accident, our poor dental hygiene. 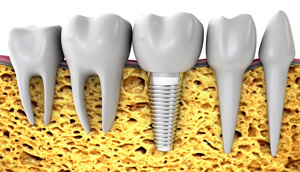 Our dental implant specialist is Dr. Arnulfo Gonzalez, who is one of the very best implant dentists in Tijuana. Dr. Vazquez graduated at the top of his class at the Autonomous University of Mexico City, D.F., which is considered to be the finest University in the country. He received his degree, first as an M.D., (medical doctor, not just a dentist) of Oral Medicine, with a specialization in dental implants. He continued another 2 years in the Residency program at the University of Minnesota in USA, and additional studies in bone grafting at U.C.L.A. Dr. Vazquez has done over 12,000 dental implant surgeries, and has had vast experience. Please consider choosing the superior dentistry in Tijuana Mexico offered by the dentists of Samaritan International Dental Group. 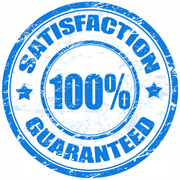 Join our family of satisfied patients! You will be glad you chose our dental clinics to meet your dental needs. I had 8 zirconia crowns put on, and got a new smile that makes me look 10 years younger. I can’t say enough good things about the excellent service. They were very attentive. The clinic is absolutely spotless, and sterile. My dentist was the best. I couldn’t thank all of you enough! You made my stay there memorable and wonderful. In fact, you’ve taken care of me a lot better than my dentist here in the United States. I have no wonder why doctors have a lot of pride in what they do. You’re all good. The clinic is modern and immaculate. The dentists were very professional. My new crowns look very nice. I plan to return for a lot more work! I was very happy with the work done here. I can give them a very high recommendation. Because of the need to have a great smile, either as a person who works with the public, or for personal reasons, it is the dream of a lot of people to get a smile makeover. The problem is, dental insurance won’t cover cosmetic dentistry, and in the US, cosmetic dentists charge a lot of money. The average price for veneers is over $1,300 to $1,500 per tooth. This make a smile makeover of 16 teeth cost around $20,000. Our dentists in Tijuana can do the same work for just $6,300!! This certainly puts a new smile in the range of possibilities for most people. Our dentists in Mexico have had specialized training in cosmetic dentistry, and have a lot of experience. In our clinics we have had over 10,000 patients, and have created many hundreds of new smiles. Interested in Cosmetic and Medical Procedures? We have partnered with MEDAC Medical Center to offer our patients medical services as well. 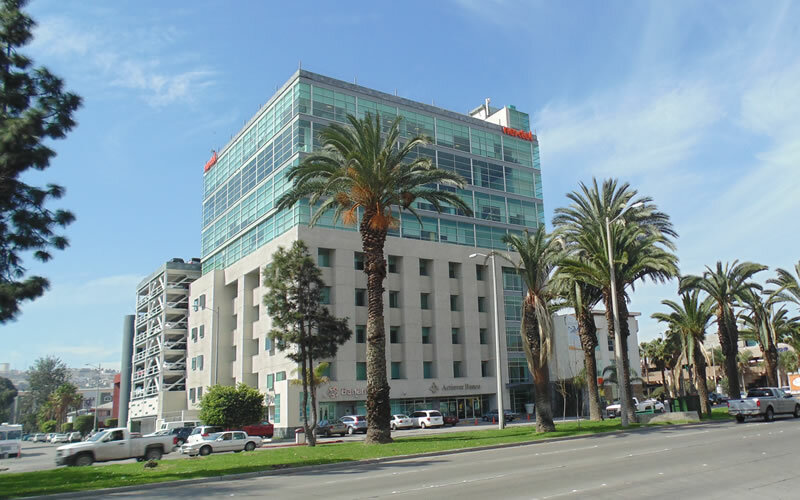 MEDAC can do all medical procedures, and features one of the Top Plastic Surgeons in Tijuana.